Kids' Waivers is your site for Medicaid waivers, Katie Beckett or TEFRA programs, and other programs for children with disabilities or medical needs. Thank you for your patience as we continue to upgrade our website. The Full List of programs is available, and all state pages are now available. 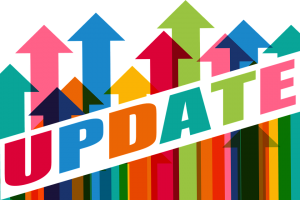 Update information can be found here. Learn about this project and the various different types of waivers/programs that serve children with disabilities and medical conditions in the United States. Use our Full List to compare different programs in various states. Use our Clickable Map to find out detailed information about the programs in each state. While our information is sourced from official federal and state documentation, sometimes this information is outdated or incomplete. We depend on professionals and families in states to help us maintain correct information. If you notice a mistake, please let us know. Medicaid waivers and Katie Beckett programs for children are unfortunately quite confusing. Not only that, but it is impossible to find information about them. This project, coordinated by Complex Child Magazine, is intended to simplify the process as much as possible. Our first goal was to create a full list of current Medicaid waivers and other programs for children with disabilities. We then created separate pages for each state that provide additional information and links for each program. We hope to provide a comprehensive resource of all Medicaid waivers for children, including 1915(c) HCBS waivers, 1115 demonstration waivers, TEFRA/Katie Beckett programs, and state-based programs. We are depending on YOU to help provide us with information about these programs. While the website has been created using governmental websites, particularly medicaid.gov, we depend on “inside information” from families and professionals in each state for the inside scoop about each program. Please let us know if you see any incorrect information, if you can complete any incomplete sections, or if you have any more details to add. If your child with special needs is uninsured, needs additional services, or needs wrap-around Medicaid coverage to help with finances and uncovered services, your child probably needs a Medicaid waiver. Medicaid waivers "waive" one or more Medicaid rules in order to extend eligibility and/or services to children. For children, the most common rule to be waived is the way income is calculated, meaning the waiver is based on the child's income instead of the family's income. Medicaid began as a program for low income families. Over time, Medicaid transitioned to serving primarily children, the elderly, and people with disabilities. Before the 1980s, most children with disabilities were institutionalized, because most families and communities did not have the resources to keep these children in their homes. Ironically, it costs more to keep people in institutions than at home, but traditional Medicaid rules only pay for the care of people in institutions and not at home. In order to overcome this institutional bias, two types of Medicaid programs began in about 1982. These included a provision of the TEFRA Act of 1982, often called a Katie Beckett or TEFRA option, which gives states the option to extend Medicaid to children with severe disabilities by only counting the income of the child with a disability. Around the same time, 1915(c) Home and Community Based Services (HCBS) waivers began for people with intellectual and other disabilities. These waivers allowed states to waive three possible Medicaid rules to provide better services for people with disabilities. First, all 1915(c) waivers waive comparability, which means states can offer people with disabilities extra benefits that other Medicaid recipients do not receive. Some waivers also allow states to use institutional deeming rules, meaning they only count the income of the individual with a disability instead of the entire family income. This type of waiver typically allows children who are not low income to access Medicaid. In rare cases, states may also waive geographic requirements, meaning that they only serve people in certain counties or areas. Waivers are important for children because Medicaid typically counts the entire family's income when determining eligibility until a child turns 18. Because private insurance does not cover many services children with disabilities require, or children with disabilities cannot get insurance, Medicaid waivers allow another pathway to access Medicaid services, including private duty nursing, specialized therapies, and so forth. They may also offer additional services, such as respite, home/vehicle modifications, or training programs. There are four basic types of Medicaid Waivers/Options: TEFRA/Katie Beckett programs, 1915(c) HCBS waivers, 1115 demonstration waivers, and state-based programs. Please note that while not all of these programs are technically government "waivers," they are commonly called waivers since most of them waive parent income. Click on the type below to find out more information. The TEFRA or Katie Beckett option began in 1982 and is named after Katie Beckett, a little girl who used a ventilator and lived her first three years in the hospital. Despite having two working parents and insurance, her insurance would not cover the home nursing services she required to live at home, even though they were cheaper than hospital care. And if she left the hospital, she would no longer be eligible for Medicaid. Then-president Ronald Reagan granted an exception that allowed Katie to move home and still receive Medicaid coverage, including private duty nursing. This exception was codified in the Tax Equity and Fiscal Responsibility Act (TEFRA) of 1982. It allowed any state to extend Medicaid to a child with a significant disability. All TEFRA programs have the same eligibility criteria. Children must have a disability under Social Service Administration rules that would require placement in a hospital, nursing facility, or intermediate care facility. Children are eligible from birth until age 18. In theory, the TEFRA option should be approved for children regardless of the type of disability, but historically it has been used primarily for children with physical disabilities, medical technology, or other complex medical needs. The main advantage of the TEFRA option is that states who elect to offer this option must serve all eligible children who apply. There cannot be a waiting list. The TEFRA option is based only on the child's income and resources. The primary disadvantage of the TEFRA option is that it just extends regular Medicaid state plan services to children. States cannot offer any additional services, such as respite or home/vehicle modifications. In addition, TEFRA/Katie Beckett programs are voluntary, meaning states can choose whether or not to offer them. Most waivers currently in use are 1915(c) HCBS waivers. These are individual state-based programs targeted to specific disability populations that provide both Medicaid coverage and additional services. All provide services beyond regular Medicaid that help people with disabilities live in the community. Since every program is different, it is difficult to generalize. The typical populations targeted by 1915(c) waivers include the following: Aged, Physical Disabilities, Other (usually medical) Disabilities, Medically Fragile and/or Technology Dependent, Brain/Spinal Cord Injuries, HIV/AIDS, Autism, Developmental Disabilities, Intellectual Disabilities, and Serious Emotional Disturbance or Mental Illness. States often serve these populations in different ways. For example, a child with autism may be served by an autism waiver in one state, a developmental disabilities waiver in another, and an intellectual disabilities waiver in a third. Similarly, a child with cerebral palsy or epilepsy could be served by a physical disabilities waiver, a medically fragile waiver, or a developmental disabilities waiver. Some of these waivers waive parental income when determining eligibility; others do not. Parental income may be waived in three typical ways: by using institutional deeming rules that typically only count the child's income; by using TEFRA rules for children up to age 19; or by creating a special designated population. 1915(c) waivers can have up to three levels of care: Hospital, Nursing Facility (NF), or Intermediate Care Facility (ICF). Typically, individuals can only receive the amount of services appropriate for their level of care. For example, a child on a ventilator or a child with severe mental illness would have to live in a hospital and receives a hospital level of care, as well as services up to the cost of a hospital. Children with physical disabilities typically receive a nursing facility level of care, while children with autism or developmental disabilities receive an intermediate care facility level of care. The main advantage of 1915(c) waivers is that they provide extra services to help people with disabilities live at home. The primary disadvantage of 1915(c) waivers is that they are not entitlements, which means they can have waiting lists. Many programs have waiting lists that are more than three years long before services are granted. States have the option to create unique programs to meet the needs of people with disabilities, or replace their Medicaid program entirely, called 1115 demonstration waivers. In some states, people with disabilities are served through these programs instead of the more traditional types of waivers. Some of these programs are very small and work almost identically to a TEFRA or 1915(c) waiver; others reform an entire state's Medicaid delivery system. Since each program is unique, it is difficult to generalize about them. The main advantage of a well-designed 1115 waiver is that it can streamline the process of eligibility and services by combining programs together to serve multiple populations. The primary disadvantage of an 1115 waiver is that it allows states to waive certain other Medicaid rules, meaning there are less protections for individuals in these programs. 1115 waivers may restrict services or eligibility. Some states have created their own programs, typically to mimic the TEFRA option. Some of these programs expand eligibility further; others restrict it somewhat. Some provide full access to Medicaid, while others only provide certain services. This type of program is not used in most states.